* To select multiple countries or surveys highlight an option in blue then hold down the ctrl key on your keyboard before making a second selection. You should satisfy yourself that your chosen surveyor is competent to do your job. 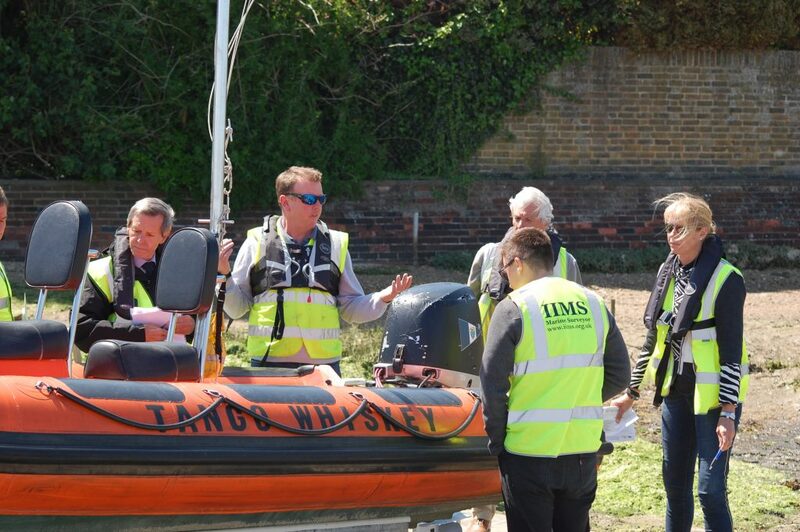 John Excell, Chairman of Large Yacht & Small Craft Surveying, will lead the day’s training. In the morning session, John will take delegates through the theory as he presents the specially written tonnage training manual. The venue is Itchenor Sailing Club, The Lane, Itchenor, Chichester PO20 7AG. Parking is at the nearby West Itchenor car park at a cost. After lunch at the sailing club, the group will head to a neighbouring boatyard to carry out a couple of actual tonnage measurements before analysing the findings. Attendees are asked to bring their own Hi-Vis jacket for the practical session. IIMS tonnage surveyors come under the auspices of the IIMS Certifying Authority and you are reminded that to become an approved and recognised tonnage surveyor by IIMS, it is necessary to have attended a training day such as this. The cost is £125 and includes a copy of the tonnage manual, lunch and refreshments. Please confirm your place and reservation by paying your attendance fee online using the form below. If you prefer not to pay online, please call IIMS HQ on +44 (0) 23 9238 5223 and pay by debit or credit card.